Thinking about getting a pet? A pet comes with a tremendous amount of responsibility so there are several factors one should consider before doing so. 1. All pets are not created equal. When considering a pet one should do thorough research in determining which type of pet fits best with their family and lifestyle. If a dog is desired then one must realize there is immense variation in breed characteristics that should be taken into consideration. Different breed variations come with increased health complications, grooming requirements, and behavioral precautions. For more information on dog breeds go to http://www.akc.org/. 2. A pet costs money, so budget accordingly. Even though a pet might be free initially, the cost of keeping them is not. Once you’ve decided to get a pet you should attempt to project the costs that will be required in order to guarantee you are able to properly care for the animal. Veterinary costs vary widely so one should contact their local veterinarian for an estimate of fees. Some costs to expect would include food, surgery for spay or neuter, vaccinations, heartworm, flea, and tick preventatives. Always keep in mind there may also be emergency situations or health conditions that arise that can increase the cost. 3. 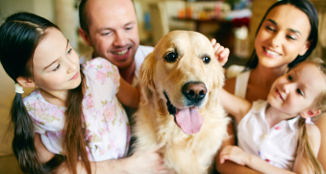 A pet relies on you as their primary care provider. One needs to examine their weekly schedule and make sure they have the time necessary for the commitment of a pet. Things to consider are: pets need to be fed daily, dogs need to be let outside to urinate every 8 hours, cats need their litterbox scooped daily, and proper exercise should be included into the daily routine. If you don’t feel like you have enough time for these activities in your life then maybe a pet isn’t right for you. 4. A pet is a liability. Pets don’t always behave as we hope. An important fact to remember is that pets are sometimes unpredictable so one must be careful for both the safety of your pet as well as the safety of other people and animals exposed to your pet.